Maastricht School of Management (MSM) has got back to the heart of what business education is about with its two-year, part-time Executive MBA. The degree is practice-orientated and steps away from exams in favor of case studies and problem solving. “The goal of any MBA student is to apply knowledge to solve real business problems. We focus heavily on practical problem solving with the use of case study analysis. This allows the students to understand the issues firms are facing in a variety of different industries” says Stuart Dixon, academic coordinator global MBA programs at MSM. Designed with working professionals in mind, students on MSM’s EMBA can take as little time off work as possible to enhance their skills and take the next step in their careers. “On individual assignments, students apply knowledge to real business problems. These could be case studies but they could also be issues that real firms, their own firms are facing,” Stuart explains. For Stuart, this is the perfect balance for both students and employers who get joint benefit from the degree. “I think this approach is exactly what employers need. Many students have a technical background, coming from engineering, IT, pharmaceuticals, healthcare and various other sectors. They tend to be strong in their own area but lack the general management vision that will take them and their organizations further,” he says. With specializations in sports management, healthcare management, wine management and international business and sustainable development, MSM is able to draw on multiple disciplines to give students as diverse of an experience as possible. It’s something Ibrahim Ramadan, a current Executive MBA student at MSM, has found particularly useful. He’s been blown away by the school’s close corporate partnerships and 20,000-plus global alumni network. “I was amazed by how much a businessman can learn from sport professionals in terms of leadership and organizational behavior, and how much I can learn from health when it comes to research and development, and innovation. 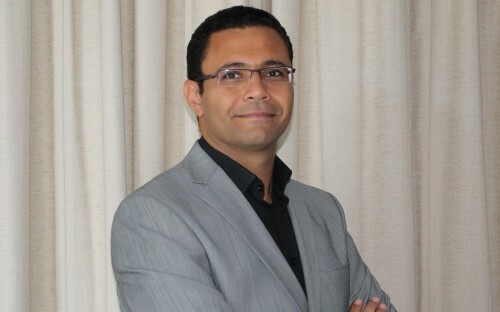 Ibrahim is an exploration venture leader for one of Shell’s joint ventures in Algeria. He’s had a long-standing passion for geology, drawing maps for friends aged eight and studying it as university, and is now benefiting from the general management and soft skills education on offer at MSM. “Given my scientific background, I tend to be detail-oriented. The MBA helps me to helicopter out to see the big picture and what matters. When looking for a school where he could enhance his soft skills, Ibrahim found that MSM was the perfect choice. “It has great reputation, accreditation, a diverse executive MBA program, and affordable fees that proves to me that high-quality education at a small profit is the school’s true mission,” he continues.